A Busy week counting birds comes to an end at Mersehead as we had our 3rd coordinated Barnacle Goose survey as well as the 2nd Wetland bird survey and our first Winter Passerine Survey of the season! It’s wild and windy at Mersehead today as Storm Calum hits the reserve. Very different to the last couple of days when temperatures have reached a balmy 23oC and Red Admiral and Peacock butterflies have been on the wing. An amazing effort from over 70 folk of all ages came and helped out on the Great British Beach Clean at RSPB Mersehead on Sunday 16th Sept working with the gallant ‘Dumfries and Galloway Eco-Warriors’. What an exciting time of year! Summer is just gripping on and yet change is happening. It’s one of the reasons I love this reserve so much, as it is never quiet but bustling with wildlife (you just need to know where to look). This week has seen much activity at the Mersehead office, and not just inside! The air has been alive with House Martins for the last few days, who have been busily building nests on the walls of the Sulwath Centre. The nests are built of mud mixed with grass, and lined with plant fibres. House Martins are colonial nesters, so it remains to be seen how many nests there will be in total, but it could be five or more. We have experienced yet another week of glorious sunshine and high temperatures. The fine weather has been assisting the birds and wildlife as they look for food to feed their broods. 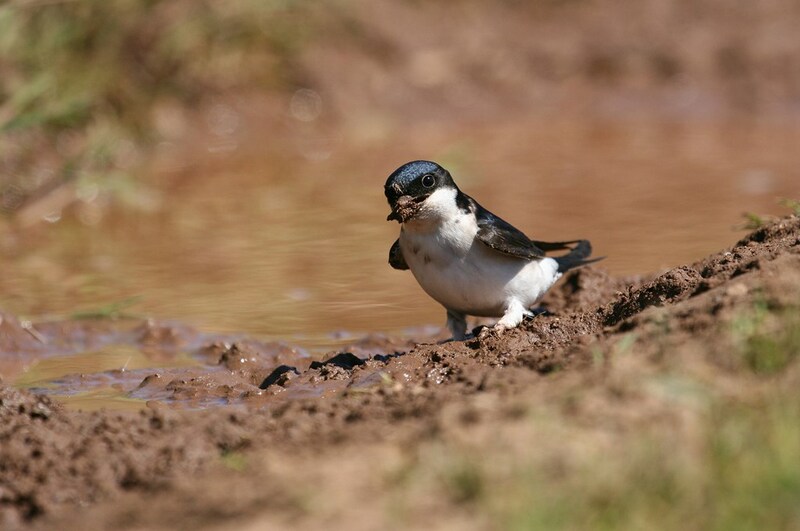 Over the week we have seen the arrival of more house martins, watching them dart back and forth, listening to them chattering away, as they get to work collecting mud to construct their nests. 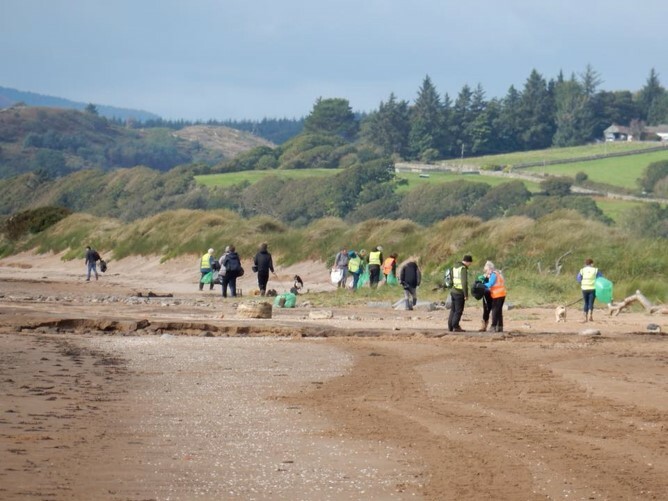 The weekend finally saw some warm sunny weather at Mersehead, drawing lots of visitors to the reserve on Sunday and Bank Holiday Monday. Inevitably, this was not to last, with cooler temperatures returning later in the week.